Announcing a collaboration with the Club Café Royal, opening on 2nd October 2014 until the 2nd January 2015. James has gained international recognition for his photographic works which defy categorisation. His artistic process begins with the creation of intricate sculptural compositions, in which he utilises natural materials and handmade props. These scenes are then submerged in purified water and photographed, before being destroyed. The play of light caused by the water, gives the resulting works a painterly effect, heightened by the dark background and vivid colours which recall Dutch still-life painting. Though rooted in tradition, James’ blurring of boundaries between photography, painting and sculpture lend his works a unique and contemporary aesthetic. His artwork will be exhibited for a three month period within The Club at Café Royal. Including key works from his signature 'Vanitas' and 'Swarm' series and to include the haunting 'Witness' a key work from 'A beautiful announcement of death' depicting martyred Ophelia. Also on show will be a new body of work, titled ‘Transparency of a dream’ with actual 8 x 10 inch transparency film plates presented in backlit frames which will debut at The Club. The exhibition follows on from the artist’s critically-acclaimed exhibition ‘Rastvoyreyanaya Pechal’, which took place in Moscow in April 2014, one of only three British artists to have solo shows in this prestigious gallery; namely Damian Hirst and The Chapman Brothers. 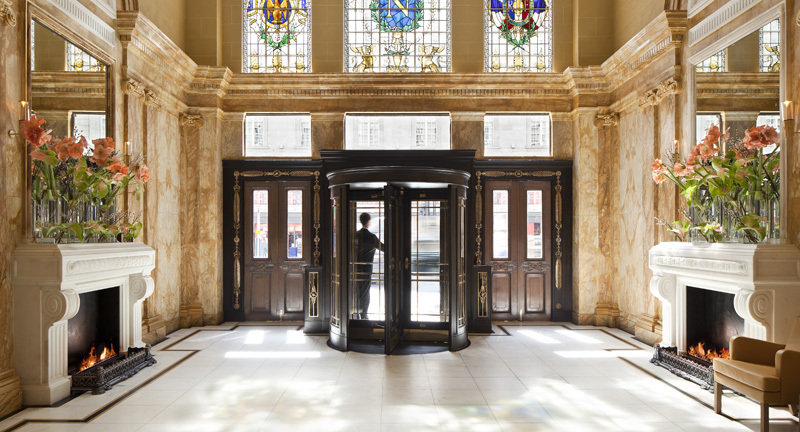 The Club at Café Royal will officially open its doors on Regent Street from 2 October, providing members an exclusive haven in the heart of London. The hotel’s latest offering, will celebrate the great and the good who frequented the space centuries ago together with the future and established stars from the literary, art and fashion world. Alexander James was born in 1967 in London where he lives and works. In addition to solo shows in London, New York, Tokyo, Moscow, Sydney and Paris, his work features in numerous collections across the globe, specifically The Monsoon Collection, Davis Museum Lisboa, Rothschild Group, DDB Group and Lend Lease Group. With prominent independent collectors such as Ivor Braka and Thomas Dane also holding key works. The Set was created to redefine the concept of the luxury hotel for sophisticated, design literate travelers in the 21st Century. Working to an uncompromising brief that called for hotels that were not only of the moment but that would define their times and locations, architects and designers of the calibre of Piero Lissoni, David Chipperfield and Jean-Michel Wilmotte have been recruited by Alfred and Georgi Akirov to deftly rework the DNA of the grand hotel and create spaces that are contemporary in conception, whilst simultaneously evocative of the style and glamour of the past. Located in existing landmark buildings, each member of The Set is rooted in the history and culture of its location as well as the contemporary needs and desires of its guests. The Set currently comprises: Conservatorium hotel in Amsterdam, Hotel Café Royal in London, and Hotel Lutetia in Paris (coming soon).